A young native prostitute is rescued from the gang of grotesquely macho conquistadors that dispute the virgin terrain of her body. Her hero is a female bull, a transgender, transpecies monster that takes her to the Mexican outback, where she lives with her troupe of sideshow dragimals- a family of transgendered, oppressed native monsters, who perform nightly for groups of drunken colonisers, and who teach the young girl about intimacy, love and self worth, forming a community that is never out of the threat of the savagery of the civilised macho. An intensely dramatic tale, TORO questions who are our real monsters: those who are colonised, those who are born female, those who love their same gender, those who are different- or is it the men that colonise and the men that repress? Choreographed by Carlos Pons Guerra, with set and costume design by Ryan Dawson Laight, and lighting by Barnaby Booth. 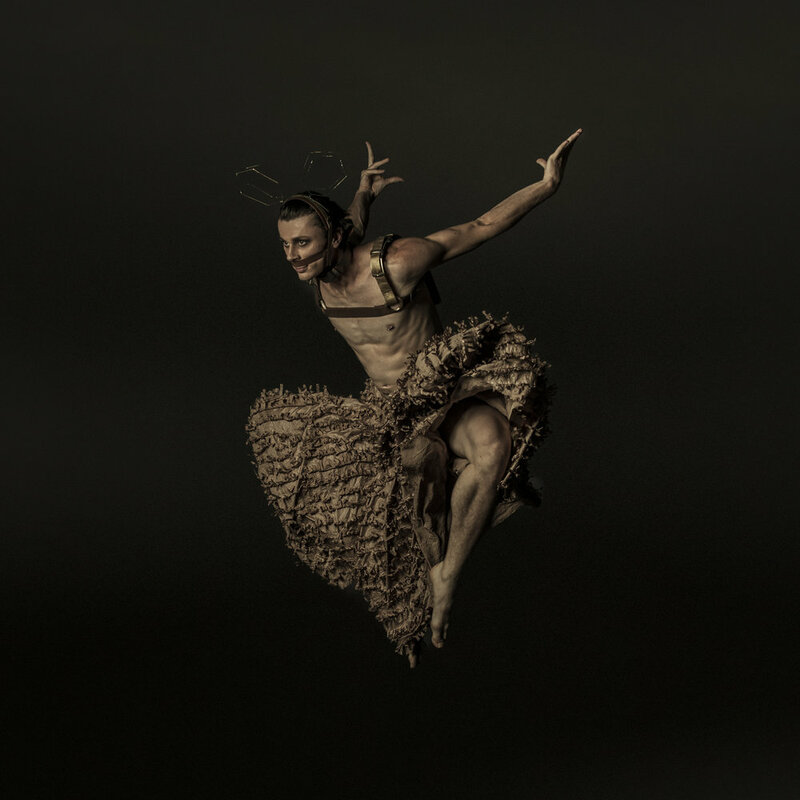 TORO will premiere 22-23rd March 2018 at DanceXchange, Birmingham, prior to a National UK Tour soon to be announced. Watch this space! We speak to Gay Star News about all things TORO, including Ryan Dawson Laight's exciting costume and set designs. Click here to find out more. TORO was commissioned by DanceXchanged, with support from the Spanish Embassy in London, Office for Cultural and Scientific Affairs. Funded by Arts Council England, the British Council, and produced by Spin Arts.